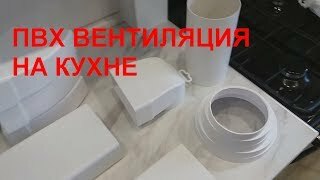 Все видео пользователя: Trading company LTM. 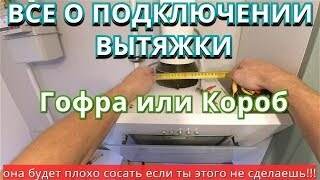 Установка воздуховода для кухонной вытяжки порой может вызвать проблемы. Рассмотрим особенности монтажа двух типов воздуховодов, элементы из которых состоит пластиковый воздуховод. 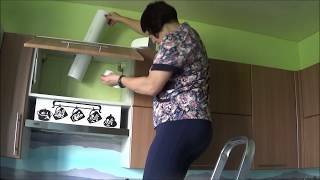 В этом видео рассматриваем воздуховоды из пластика и алюминиевые гофрированные для установки кухонной вытяжки . 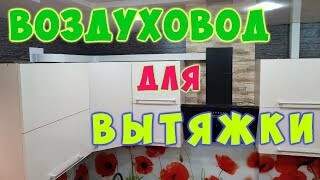 Спасибо что смотрите нас!!! 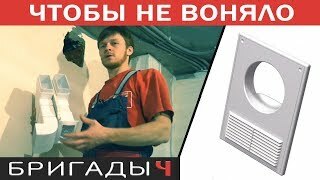 Если вам понравилось это видео, то, пожалуйста, подписывайтесь, ставьте лайк, комментируйте и делитесь с друзьями! 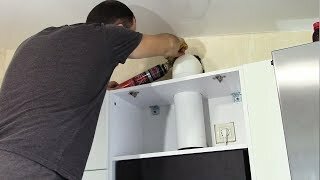 So, we now know, how to connect your hood to the air shaft to It does not disturb the natural ventilation in the kitchen. 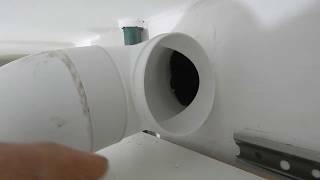 In past issue we mentioned that hood operating in recycling It requires constant buying filters, so it is best connecting duct. 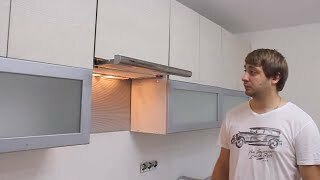 You bought a kitchen hood, They brought it home and hung up. 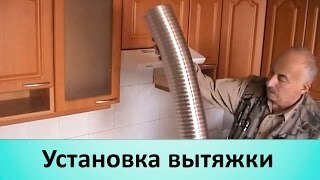 So, what are we going to her plug: PVC duct plastic or corrugated household ventilation. what are the pros and cons of each type connection I will now tell. 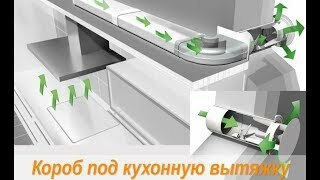 To connect your kitchen hood to the ductwork of aluminum corrugated we need: duct of aluminum corrugations, steam and vent clamps ventilation grille for your. Shaft. 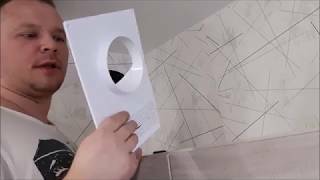 Each drawing output supplied plastic flange, that such a plan, with a shutter or can be with or without the passage of a square in the circle, as well, usually with square into a circle that we will throw free end of our flutes. In its turn the ventilation we put a special grille flange and free throws the end of the remaining right here. Fix the clamps it all. And all corrugation installed. As you can see, enough flutes. Pros, but even more cons. And the main drawback - it is certainly noise. Now let More details about the PVC ducts. 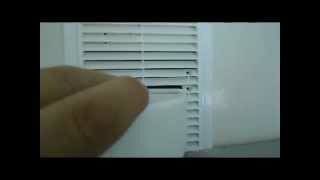 PVC ducts usually a plastic duct one millimeter thick. Specifically, here the dimension 60 to 204 mm, which corresponds to the number of traversed air through the tube diameter 125 mm. That is, it is only 125 pipe. In a rectangular, say such performance. Like these ones Now PVC ducts are sold at half a meter, per meter and a half. 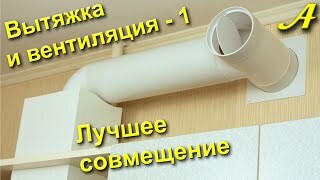 Usually the market can to find half a meter and a meter, but if you want to connect, Suppose half - two meters in one piece, then sold Special connectors here's the plan, which interconnected these ducts. With round. Tubes with a diameter of 100 or 125 mm, in principle, the same situation. The same connectors are sold items and also we easily We can connect them. Yes all joints like these items We should be greased with silicone sealant. 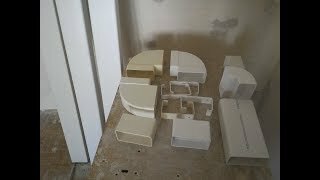 So before you simplest types of flat without decorative hood casings. As you can see the standard outlet-flange is circular and had a diameter of 125 mm, well It may be 123 mm at the edges, and the pipe we have size 125 mm. In general, without the need for better not zauzhat duct section. If the output flange of the hood It is the size of a Tube 125, and the connecting should be appropriately section. When changing to a smaller diameter, e.g. 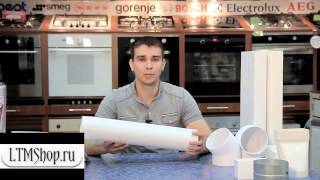 diameter 100 mm, range hood will work more noisy at times. It so happens that the diameter. 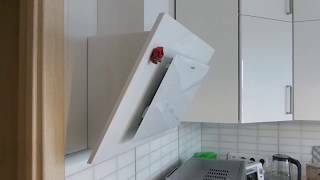 125 mm slightly larger look in the kitchen and, in principle, Here specifically, that such hood capacity of 340 cu meters per hour can be safely connect the duct diameter 100 mm. But here the 125 and 100 here, accordingly we need adapter. Such adapters there are inexpensive, use they simply. Dress up, fasten, Naturally promazyvayut, all joints and sealant then you put on the back his trumpet. Here such here manner. Then we went in us if you want to knee in different directions to the left and right. maybe then immediately go on Flat duct. there is and such adapters. the there is actually space creativity is great and connectivity options can be mass. For example, if we want to immediately go to the flat, ie go round pipe, and flat against the wall can be like this. Find, here such Now, the adapter. It is inserted just such a way. Expand. And conduct on the wall. Respectively for circular ducts. 125 mm or 100 mm, there is a knee 90 degrees. But it can be replaced by knee 45 degrees. Such Cases sometimes occur. A bit of ventilation. Lattices for your mine. The standard model of the lattice for mine, dual-use - so-called, have dimension 18 to 25 cm in diameter with a channel or 125 mm, or as. In this case 100mm. How are you see, for example, in this lattice, there is reshetochka for natural ventilation. That is, when we here insert, that is Now, let's knee from the hood and when the hood included, it works for us forced ventilation. When disabled Your hood should work natural ventilation. 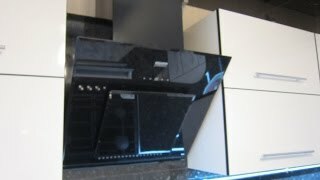 That is, natural ventilation on kitchen should stored and this must be take care in advance. Also, on this side, here it is an injector which makes the air from the hood when it was dispersed, not strike and come back, Now here it is, that is blown it turns on again kitchen, and a little bit up, helping to pick up the natural ventilation this stream. Here in front of you typical hood with a decorative usually cover complete two of them, but now I will show with one. vent the cover is to hide your connection Hood. It is decorative only fulfills the function, rather than what many people think, it is itself Statement duct. As you can see, it can be easily removed under it is a flange, which attached directly trumpet. By itself, it is flat decorative curved plate into which is inserted, In our case, the tube, suppose so here, and nearby there is a.